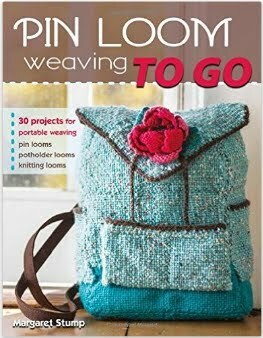 I believe that you can make almost anything out of pin looms and every so often I feel a need to make something different. In this case, a dragon. One day it dawned on me that a 4"x 4" woven square would make a really good dragon wing. 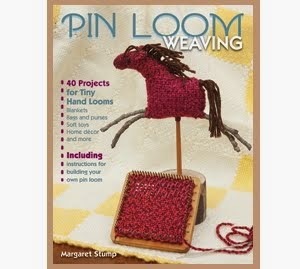 And then all I had to do was weave a dragon to attach it to. Derrick the dragon posing on battlement, actually, front porch. 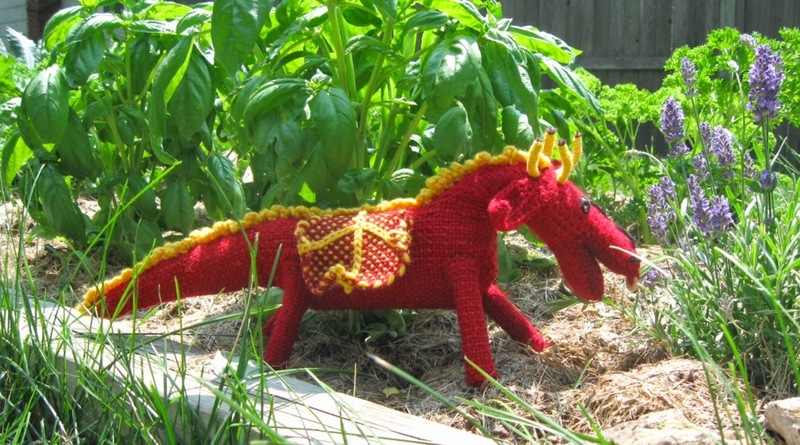 Pin loom woven dragon in noble profile. 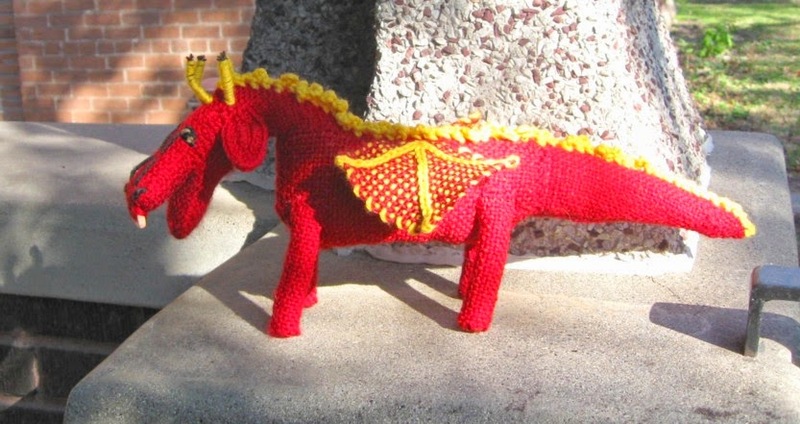 I plan to revisit the concept of weaving a dragon in the future and hopefully will be able to provide everyone with a much fiercer, more noble model. 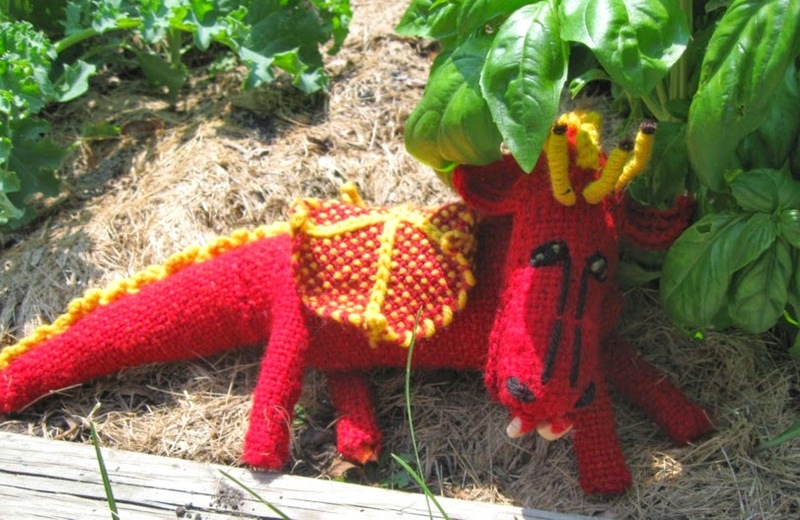 In the meantime, this is a dragon named Derrick (I think the name fits him). His greatest joy is either playing with cats or eating them, I'm not sure. Derrick measures 7" tall and 16"from nose to tail. Kids seem to like him. His two front teeth were made from two stone beads. 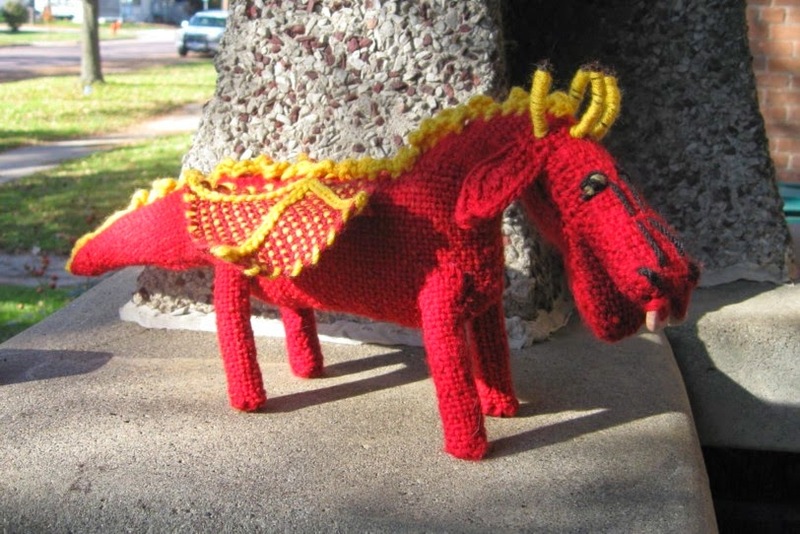 Derrick is made from pin loom squares and rectangles with the exception of his ears and mane, which were crocheted. 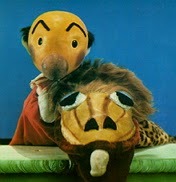 My intention was create a dragon reminiscent of Ollie the Dragon from Kukla, Fran and Ollie. I am providing the link for all the people who did not have the opportunity to know Ollie the Dragon when they were young. After consultation with Derrick it was decided that my original shots did not convey his fun loving but shy demeanor. Further pictures were taken in his favorite location, the herb garden. Enjoying the basil and lavender. That's the cutest thing. My granddaughter loves dragons.